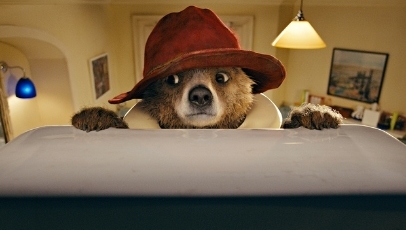 Ushered lovingly to the screen by Harry Potter producer David Heyman and director Paul King, Paddington – adapted from Michael Bond’s beloved children’s books – is the epitome of a spirited family treat – a film packed with humour, heart and exuberant adventure by the bucket load. After an earthquake destroys his home in Peru, a young bear (voiced by Ben Whishaw) winds up in London, where he finds temporary residence with the Brown family. As the bear – christened Paddington after the train station in which he’s found – attempts to assimilate to his new surroundings, he attracts the unwanted attention of an evil taxidermist (Nicole Kidman). From the sepia-infused opening to the blistering finale set inside the Natural History Museum, if ever a film burst with life, it’s Paddington, which announces itself dynamically and barely lets up thereafter. The script contains plenty of laughs and madcap antics (Paddington’s brushes with bathroom appliances and the Underground, to name a few), while offering up a poignant through-line about acceptance. Whishaw is quietly brilliant as the marmalade-loving bear, and he’s backed by a marvellous cast of supporting players (Hugh Bonneville, Sally Hawkins, Peter Capaldi and Julie Walters all deserve applause). Films are talked up all the time, but with Paddington only overwhelming praise is deserved. It’s a film to treasure, and one that will only improve with time and reflection.